ISA achieves strong results in some of our country’s most challenging public high schools where ¾ of students are eligible for free lunch and nearly two-thirds start ninth grade with significant deficits in mathematics and reading. Only 36% scored proficient in math and 31% scored proficient in reading on 8th grade state tests. Two independent external studies of ISA schools by the Academy for Educational Development and IMPAQ International found that ISA has a large and positive effect on student achievement, significantly improving high school attendance, credit accumulation, grade promotion, high school graduation rates, and college attendance and persistence rates. 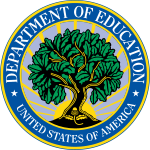 The US Department of Education has approved ISA’s proprietary model for evidence-based whole-school reform for high schools and has included our efficacy research in the federal What Works Clearinghouse.